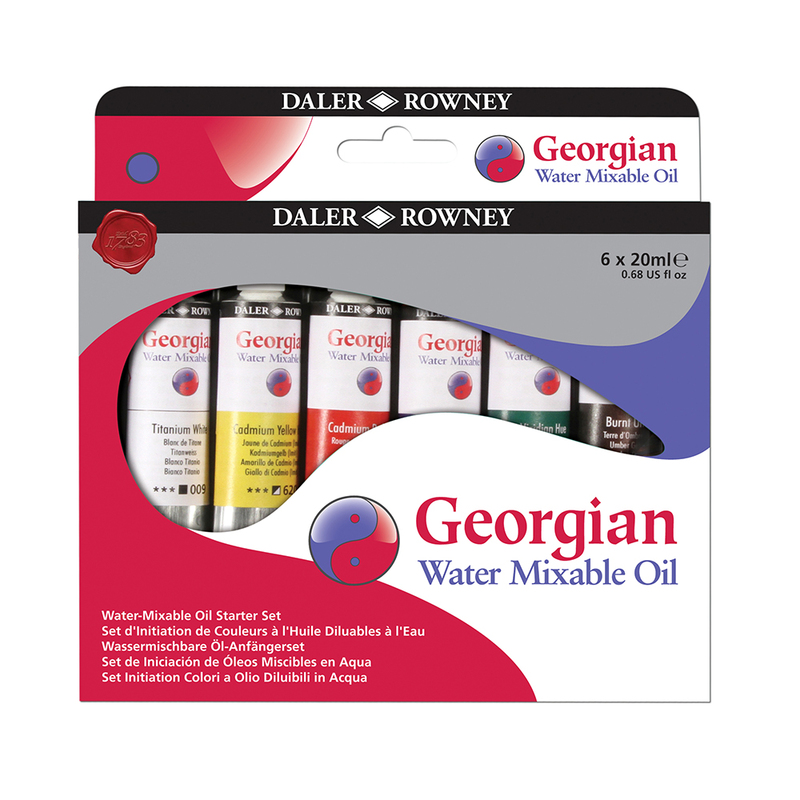 This Georgian Water Mixable Oil Starter Set contains 6 x 20ml tubes of student quality water mixable oil colour. Georgian Water Mixable oil paints give artists the opportunity to experience oil painting but without the need for solvent based mediums. These paints offer all the same properties as traditional oils, but with the added benefit of being water mixable - thin, mix and clean using just water! This makes them ideal for indoor use or in a shared workspace. Each Georgian Water Mixable Oil colour has a high degree of light fastness, good pigment load and durability. They mirror traditional oils both in their viscosity and texture, allowing for them to be used for the same painting techniques as a genuine oil colour - use them for thick impasto colour or thin down to create ink like washes. Surface dry between 5 to 7 days, and no colour shift wet to dry. Titanium White, Cadmium Yellow Hue, Crimson Alizarin Hue, French Ultramarine ,Viridian Hue, Yellow Ochre.